Science Applications International Corp. (NYSE: SAIC) completed its $2.5B acquisition of Engility days after shareholders at both companies approved the merger deal at their respective meetings. 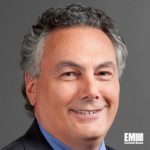 SAIC said Monday the combined firm will continue to operate in Reston, Va., under the corporate name SAIC and leadership of CEO Tony Moraco. Moraco said the deal’s completion forms a combined company with approximately 23K employees and a long-term strategic plan to drive shareholder value and support clients’ requirements. SAIC agreed to purchase Engility in September 2018 via an all-stock transaction in a push to expand its presence in intelligence and space sectors. Engility, which has become SAIC’s wholly owned subsidiary, made its final trading on the New York Stock Exchange Friday and its stockholders secured 0.450 shares of SAIC’s common stock for each share they own.